An event under the stars sounds to be both magical and unique. That is exactly the type of environment that The Franklin Institute offers guests and meeting planners alike. Imagine hosting your next event within the Fels Planetarium. This venue is the second oldest planetarium in the US and is the perfect location for weddings, special events, corporate fundraisers, and conferences. Couples have been known to exchange vows on the rooftop deck, which overlooks the stunning Benjamin Franklin Parkway. Masonry walls and soaring natural wood bow trusses. Open exhibition space perfect for collaboration and creativity. If Phoenix is your event destination, check out the MonOrchid for the perfect corporate event setting that feature these beautiful elements. Established in 1900, the oldest theater in Connecticut offers a vintage atmosphere that is sure to deliver a unique experience in entertainment. The Stafford Palace Theater is a completely restored Vaudeville theater that caters to live music, comedy stage plays, and private parties. This venue is located in downtown Stafford Springs, home of the Famous Stafford Springs Mineral Spring, and Americas First Resort! It’s a new year and we have some new venues to introduce meeting planners to! Bently Reserve offers the perfect location for weddings and conferences looking for a historical venue in the California area. Located in the Financial District and built by architect George W. Kelham in 1924, the Bently Reserve offers a glimpse of San Francisco's banking architectural past. Originally the Federal Reserve Bank of San Francisco, the venue is on the National Register of Historic Places. Some people think about Halloween and their minds go straight to candy and costumes. Over here at Unique Venues we think in terms of venues with spooky ghost stories or mansions that could double as a haunted house. Here are a few of our favorite mansions that are perfect for hosting special events. We know that the perfect meeting includes a mix of whimsy, people, professional programming, a cool venue, and maybe even a little bit of bourbon. Looking for a unique team-building opportunity? Consider a fun and affordable art workshop from this Toronto gallery space. Our team recently visited an art gallery in New Orleans where we all teamed up to paint pictures while rotating the canvases so that everyone had a hand in creating the master piece. It was a great team building exercise and can easily be recreated for an event for your office. Every meeting planner wants the stars to align when choosing a venue that will wow guests and leave them talking about the event way beyond the closing ceremony. Lucky for you, we’ve got events down to a science! Some of our venues include science centers and museums. 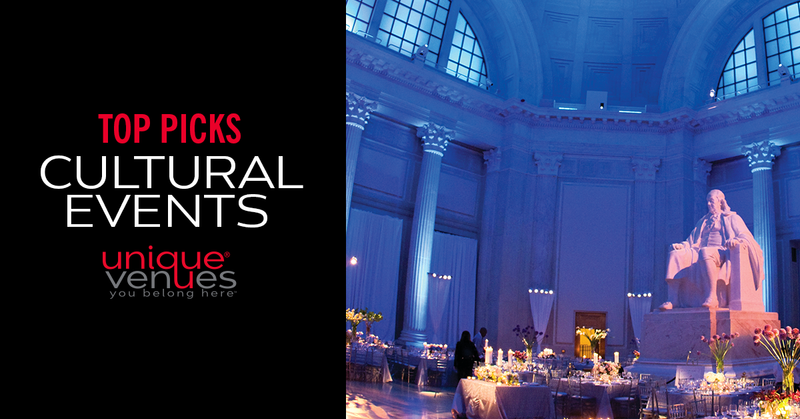 Discover how their location, décor, and atmosphere create the perfect setting for your next event. We are excited to welcome a few new members to the Unique Venues family! Messiah College is perfect for summer conferences ranging in size from 25-1500 guests in Pennsylvania.